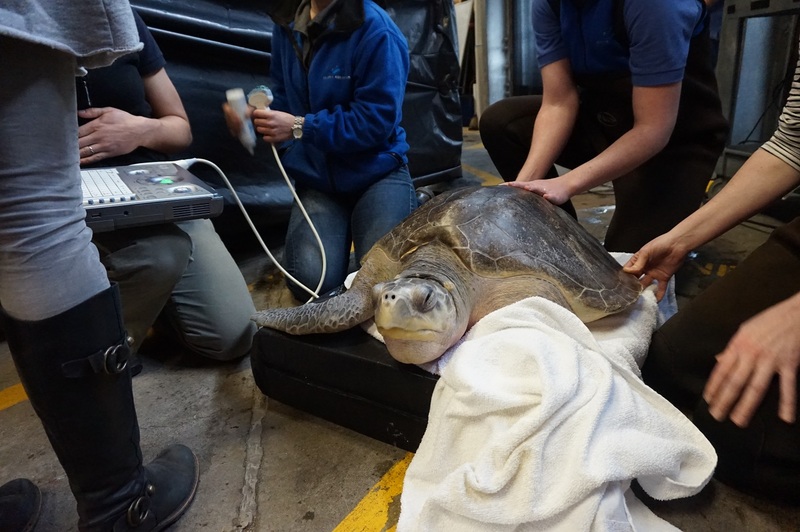 Did you know that the Seattle Aquarium is Washington’s only recognized sea turtle rehabilitation facility? 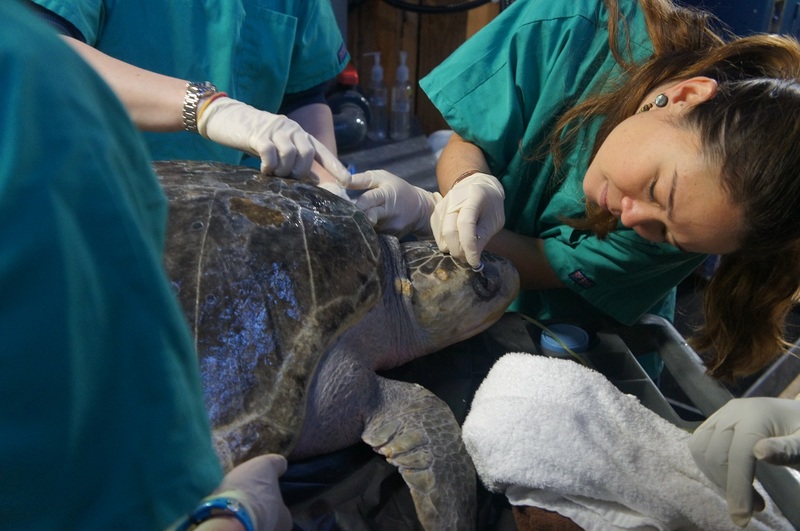 When sea turtles strand along the coastline, they can be brought to our facility and nursed back to health by our expert staff. Olive ridley sea turtles (Lepidochelys olivacea), are found worldwide in warm or tropical waters. They are listed as a “vulnerable species” by the International Union for Conservation of Nature (IUCN) due to their globally declining numbers. Healthy olive ridley sea turtles don’t often come to shore—aside from nesting season when females gather on beaches to lay their eggs. Otherwise, olive ridleys may spend nearly their entire lives at sea. Unless something goes wrong—if they are injured, sick, hypothermic or a combination thereof. Strandings are most common in the fall and early winter, when ocean conditions shift, increasing the likelihood of olive ridleys getting trapped currents of colder water. As their body temperatures drop, the turtles lose their ability to swim and feed, and their immune systems shut down. If they’re fortunate they get carried to shore by a current and rescued. While quick action is necessary to save the life of a stranded sea turtle, it must be expert action as well. If you spot a sea turtle on a Washington, Oregon or California beach, do not approach, touch or attempt to move it. Instead, please report the stranding immediately to the West Coast Marine Mammal Stranding Network hotline at 1-866-767-6114. The line is monitored 24 hours per day, seven days per week.